Everything returns home – everything! Nothing to return to, you are already home. Rust is beautiful. I think when you find inner peace, or your inner passion, then you realise that you have nowhere else you need to be. The physical is all an illusion anyway, like I said it’s all pink flamingos. Just a thought. True, and one school of thought believes that until inner peace and inner passion is attained – the journey to ‘home’ continues. So, the original comment that we are already home, made me wonder. This is my understanding of it anyway. I see both mind and human being as synonymous. When we think in terms of separateness I think that’s when all the confusion arises, hard as it is not to. Existence is paradoxical, everything is separate and unified. It’s a matter of where your focus is and its intensity. The more intensely focussed you are on something the less you are aware of in the periphery of your perception. Like looking down the lens of a microscope, so in order to see the bigger picture you have to relax your focus and zoom back out. If anyone believes they are already home, I’m happy for them. This reminded me that there are those who let hurt, pain and grudges melt off them like snow and then there are others who hold onto such poison, rusting themselves in the process. Well, that’s my take on it anyway. Good haiku and very expressive! Again you’ve provided a refreshingly new angle, Maryam – one that I did not consider. Thank you, as it opens up horizons for me. I appreciate your compliments too. The corridors of death are no more than a vestibule that opens up to Life, I reckon. Yes, all is well, thank you for asking. Thanks for a fascinating blog and this great haiku. Yes from ashes and rust we arrive and depart, but what happens in-between is what really matters. Thank you for visiting my blog. Hello Mary – yes, I enjoyed my visit to your blog today. What happens in the interim – very truly observed. Yes, nice one. True, all that is tangible is recycled in some way–it is the intangible that is immortal. I love your comment – a refreshing take on the haiku – tangibles recycled, intangibles immortal. Marvellous – learned something new today. So the new rejoices in the beginning. The rust looks from afar and said : “soon you’ll be like me, but don’t worry the rust are piling up fast – you will never be short of friends ! ” Whether you are new or rust, it is all in your heart. If your heart remains new, you can be rusty yet able to see something new everyday. Your comment is beautiful, Jasey dear. Well, since I’m nerdy, my first thought was that the chemical formula for rust is FeO, which is Spanish for “ugly”. 🙂 However, I think rust can be very beautiful (as long as it’s not on something I own and love). A metaphor for the aging process. In the end, we are all dust and shadows; only Love that makes our heart a diamond. We are all dust, true. Interesting take on diamond, which is the hardest material known to man – but not to nature, I reckon. I, myself, will make more dust. But we will have left our mark. I’m not quite that rusty (yet) but returning to dust is inevitable. Yes, many of us are not quite there yet. Strange but I had to retrieve this from the spam folder. Thanks. I thought the rust haiku didn’t go through. I tried re-sending it and WP kept saying it was submitted. Maybe the rust clogged things up a bit. My comment in your post Dangerous Decibels did not come through – perhaps clogged in some rusty spam folder? I can’t find it anywhere. Sorry. WP has been acting up lately. I don’t know why. Perhaps you can try it again. Wonderful view, everything will eventually be reduced and absorbed, as always Mother Nature finds a use for all of us. Thank you again for the wonderful imagery. Thank you for this sharing – truly spoken. Many would relate to this. I also see the beauty in rust. Time has its way of ageing that which was once beautiful, or so we think…time cannot erase the memory of beauty…it can however change the feelings we had of that beauty. Always, your words, so perfect. I love that you get me thinking…You amaze me with your rich talent. That opening about Catholic funerals brought a chuckle. One often hears ad nausea to all the out pourings which have one consistent theme – “Oh, he/she was such a nice person” – even the wife beaters, frauds, child molesters – looks like everyone who died was an angel during their lives. They dig holes and bury the dead with hypocrisy, or so it seems – LOL. LOL so true. Then again, they bury true angels in the same fashion they bury those demons! It reminds me that nothing is permanent, even though we might strive to make it so. I can picture a local factory that closed down and was abandoned – it dind’t take long for nature to begin the reclamation process… rather beautifully, I have to say. Thanks for this reminder, Freya. Now that you mentioned it, several decades ago, we had to vacate our village for ‘development’ by the authorities. A few months later, I returned to take one last look before the bulldozers moved in – gosh, Nature does repossess that which is hers and very quickly. Generally, you are right but in this instance, the villages of the 1950/1960s Singapore lacked many facilities – running water, electricity, proper roads, sanitation, etc. We were happy to move out and into spanking new housing estates that are the envy of many nations now. and even rust will eventually be gathered by the wind and blown away , dear Eric. Ah, yes of course – you’ve taken it further and added another important bridge to this journey of discovery. There is a similar truck to that found in the desert of South Australia called the “Badger” There is a history to the truck that was found. Your poem reminded me of it a rusty old truck found and bought back to life again. In 1957 the truck was abandoned and found in 1986 and bought back to life for jubilee mail run enactment in 1993. http://en.wikipedia.org/wiki/Tom_Kruse_%28mailman%29. Anything rusty can be bought back to life. I drew memories from this haiku poem. I know the answer I gave is probably not what you wanted, but pleasant memories were drawn from your work. My Dads family were involved in this little bit os South Australian history. I read the wiki link – and your Dad’s family was involved, you say – that’s cool. Superb Haiku, yes everything returns home, ways may differ, end remains same. 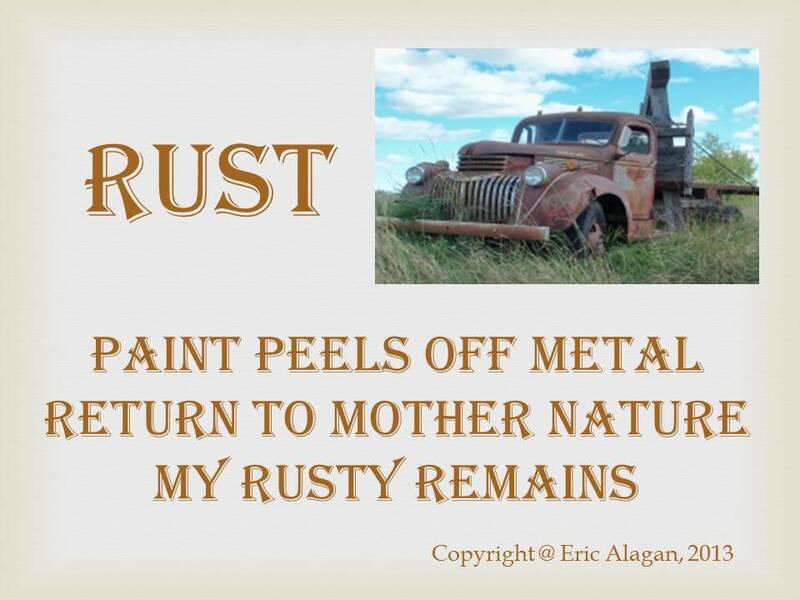 You are right, taken in that sense, rusting can be slow and painful – arrrgh! – glad I was not born as a beam of steel. It brought to mind the constant cycle of life; new-used-recycled. Ashes to ashes. Rust to Rust! nice pic… did you take it ? I hope that’s not your car. You’ve given another angle to this post, Bill – I love such diversity in thought as it adds to my reservoir. Since we are speaking about immortality, I sincerely hold that no human ‘foot print’ as it were, is ever lost. 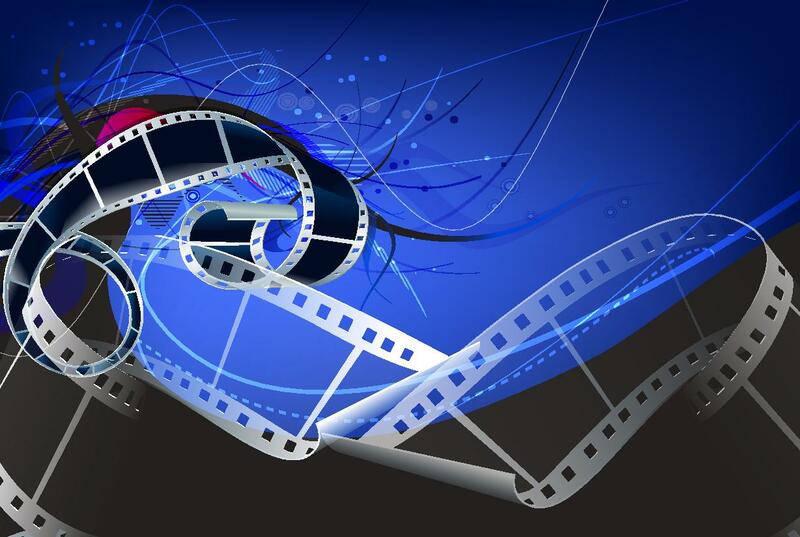 But taken at another level, yes, some things are worth preserving – many libraries, museums, oral history depositories and etc are doing an excellent job. Now, with social media – every regular joe can contribute to growing human treasure, I reckon. We are but the tiniest spark of existence, lasting only for a brief moment, then we too turn to dust (rust). We are complex chemistry bound together by energy and life force; eventually our individual elements are freed by the passage of time. Time marches ever onward and all things eventually return to the bosum of Mother Earth. One thing came to my mind and that is: From dust I came; to dust I shall return. Sadly, I see the attack by rust as death. Love this to bits, Eric. Truly spoken, Uzo – from dust unto dust. Yes, rust can be viewed as death – death to what was deemed as the normal, which could have been quite abnormal, to begin with – but death, nevertheless. Cool picture above and haiku says it all. My son-in-law can relate. He restored an old pickup truck of ours and it is a real classic, did a great job. An old Ford 67. It seems to me that we all fall apart and death is progressing…really liked this. what a wonderful thought – i love how mother nature will always win. always. nicely done! This is an interesting view – somewhat hinged on your recent post about ‘validation’. Yes, no matter what we do to embellish ourselves – the real you will come through the masks. Thank you Eric for reading my ‘Validation’ piece and yes this is my first comment here. Yes, I thought the quote fitted perfectly with the meaning. Your post inspired me to write about something later this week. It reminded me that I’m getting rusty indeed! LOL. I think I’ve still got a few more years before being recycled.